For the past few weeks, I’ve been hopping around different countries for Devour. This recipe for sleeping meringues, however, is very close to home. 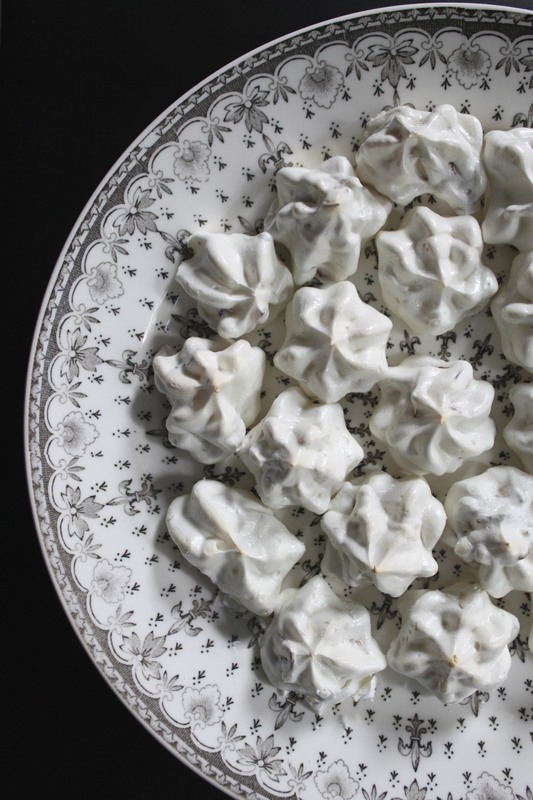 I’d been trying to make my grandparents meringues which were air crisp on the outside and chewy on the inside when my friend Maria Budet shared her own grandmother’s recipe, providing the missing piece that had eluded me. Mystery solved, I added a few toasted almonds and drops of vanilla but am looking forward to many variations in the next year. Thank you all for reading and I hope you’re all enjoying a happy and peaceful Christmas morning! These look beautiful – we got addicted to making meringues a few months ago but then, for no reason at all, forgot all about them. Thanks for the inspiration!